All the parties to hit - and what to drink - during Coachella 2019. 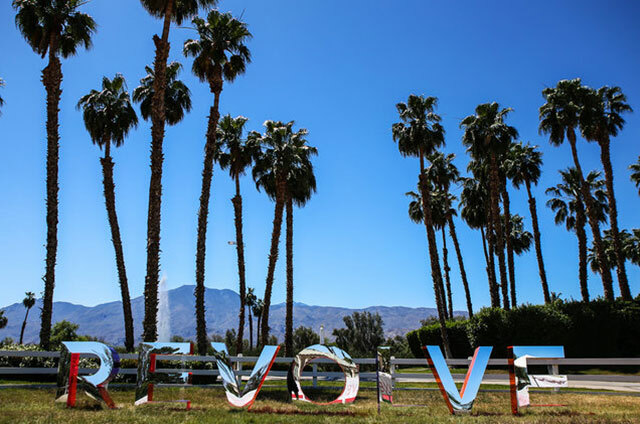 The in-crowd heads out to the desert this weekend for the 2019 Coachella Valley Music and Arts Festival in Indio, California Friday, (April 12 through Sunday, April 14). In addition to the three-day, back-to-back weekends music festival headlined by Childish Gambino, Tame Impala and Ariana Grande, the calendar is jammed with fabulous, booze-filled parties. Most of them are invite only and held at private estates, though they are a few the average festival goer can find their way into. From the infamous Neon Carnival to the fashionable ZOEasis party, keep reading for our guide to this year’s hottest Coachella Weekend One events and what to drink at each. The most stylish place to be Coachella weekend is undoubtedly #REVOLVEfestival. The weekend kicks off with #hotelREVOLVE at V Palm Springs Hotel on Thursday which will host over 130 of the top fashion influencers, musicians, artists, athletes and celebrities. Past guests have included Kendall Jenner, Emily Ratajkowski, A$AP Rocky and Nicole Richie, to name a few. A-listers will be hanging out in the Virgin Voyages beach lounge and catching some shade under the KAOS Cabanas hosted by Palms Las Vegas. New this year is the Cotton (as in The Fabric of Our Lives) personalization festival pop-up shop. This year, REVOLVE further elevates its synergy with music by partnering with Los Angeles based powerhouse label, Top Dawg Ent. to curate the lineup at #REVOLVEfestival on Saturday bringing together an explosive curation of TDE’s world-renowned artists SZA, ScHoolboy Q, Jay Rock, Reason and Zacari with a special performance by 2 Chainz. The Sunday line up includes Rae Sremmurd, OFFSET, Tyga, A Boogie Wit da Hoodie, Rich The Kid, Saweetie and more. Two midnight parties will also take place Friday and Saturday night including the ultra exclusive TAO x REVOLVE Desert Nights After Party and Superdown Night Party, both at top secret locations. When & Where: The various Revolve events will happen throughout the weekend at different locations. Vampped is an LA-based social media and branding agency that will have you partying among that hottest influencers and celebs. This year the private estate and pool party will offer multiple pop-up and gifting experiences for party attendees to participate in which includes a Harley Davidson man cave (equipped with free custom merch and their new electric motorcycle), SPIN electric scooters to ride around the estate grounds, Sugarbear Hair celebrity hair salon and hair stylists, Instagramable moments and more. The estates are centered around an ultra-luxurious pool and hot-tub area and a massive airplane hangar will be converted into a venue for DJs/Artists to perform in front of 1,700 guests. When: Friday from 2 p.m. to 6 p.m.
Where: Two joint private estates in the exclusive and gated Bermuda Dunes neighborhood. What To Drink: Heineken will be providing the brews while multiple mixologists will be making cocktails. The beGlammed Sunset Soiree presented by Fullscreen is where festival goers head to be pampered. Hosted by model Shaun Ross and DJ Joel Mignott, the party will feature a full suite of complementary services for guests including a braid bar, custom temporary tattoos, ear piercing, glitter glow bar, hand massages, jewelry counter, lash & lip bar, makeup counter and manicures). The bash will also feature music poolside, as well as a gifting suite stocked with premium beauty brands, hosted rose and liquor bar, lite bites and treats, charging stations and more. When: Friday from 4 p.m. to 8 p.m.
What To Drink: Over at the open bar, Silent Pool Gin will serving up some refreshing cocktails while wine club Winc will be sharing some of their vinos. When: Friday from 12 p.m. to 6 p.m and Saturday 12 p.m. to 4 p.m. The CÎROC Summer House at Coachella will be hosted by Evan Ross and Ashlee Simpson Ross and will celebrate the launch of CÎROC Limited Edition Summer Watermelon. 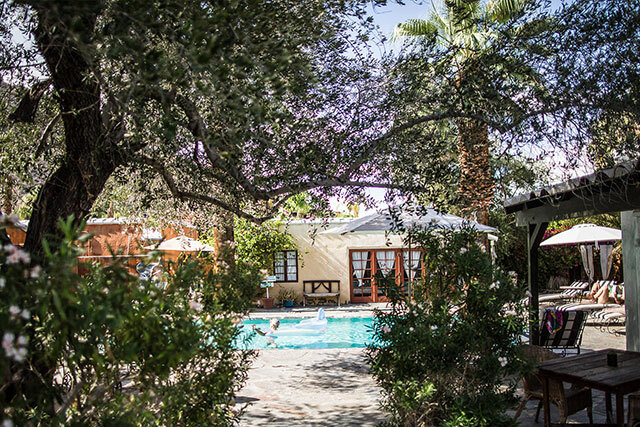 Rachel Zoe and The Zoe Report will once again take over The Parker Palm Springs during weekend one of Coachella 2019 for their annual ZOEasis event. On Friday evening, guests will be invited to enjoy a Saint-Tropez-inspired soiree under the desert sky with exotic sips and light bites while taking a stroll down The Boardwalk, browse The Marketplace and get pampered at The Salon, all inspired by Rachel’s latest collection. Infused with Rachel Zoe’s iconic aesthetic and unparalleled taste, ZOEasis is the fashion event of Coachella. When: Friday from 5 p.m. to 9 p.m.
What To Drink: Sunseeker Rosé will be flowing. Cann, the first cannabis-infused social tonic, will also be on site pouring for the cannabis curious as well as the cannabis connoisseurs. THC & CBD, all natural citrus and herbal flavors, and a touch of agave nectar blend together to create a light, refreshing social buzz. With only 35 calories and the lightest THC dose on the market (2 mg), drinkers can have a few. NYLON Media will host its fourth annual star-studded Midnight Garden Party at The NYLON Estate, a secret location. The event will feature live, electrifying performances that will be remembered from Coachella 2019. NYLON is teaming up with Warner Brother Records who is bringing beloved singer/songwriter, JoJo, to the stage, along with other surprise guests. The party will also feature high-energy DJ sets by Erika Jayne, star of the Real Housewives of Beverly Hills, Johnny Wujek, the celebrity stylist behind Katy Perry’s vibrant wardrobe, Markus Molinari, renowned DJ and jewelry designer and Pookie, one of Serbia’s most recognized and talented DJ’s who will be closing the night. Throughout the night, ShoeDazzle will showcase its new and wildly popular Erika Jayne x ShoeDazzle line while Jayne brings the beats and excites the crowd. Guests will also experience Uninterrupted’s Instagrammable art installation on the tennis courts at The Estate which will feature projection mapping curated by Naomi Osaka, Japanese professional tennis player who recently defeated Serena Williams at the US Open Final. Annapurna Pictures will be incorporating experiential elements throughout the estate inspired by its new movie, “BookSmart” – premiering this May. The film will serve as Olivia Wilde’s first debut as a director, starring Beanie Feldstein and Kaitlyn Dever. What To Drink: CANN will be providing all-natural, refreshing CBD x THC Soda, as well as a dedicated bar on-site where brand ambassadors will educate guests on their products. Harmless Harvest will provide refreshing coconut water, Ketel One Botanicals will supply a custom bar with delicious, specialty cocktails. Google is teaming up with h.wood Group hotspot Poppy and throwing a super chic Midnight Bloom Party in the desert. Also sponsored by Wynn Nightlife, the invite-only event will feature a performance by Gunna and DJ sets by Devin Lucien, Honey, Pedro, Fred Matters and Eric Dlux. Once again hosted by P Diddy’s sons Christian Combs and Justin Combs, fashion brand Nana Judy is presenting Combschella, a three-day event at the sprawling Combs Compound. Friday night will kick off with Lil Wayne at 11 p.m.. Saturday, Chacha will host a Beach House Pool Party with Justin Combs and 40 Oz Van at noon followed by after hours party at midnight . Sunday wraps up with the Iceberg Pool Party at noon featuring performances by Rich The Kid and King Combs. Lucky Brand will be hosting their 3rd Annual Desert Jam this year in collaboration with Rolling Stone Live. The event, which will take place at the Arrive Hotel in Palm Springs will feature musical performances by X Ambassadors, Drax Project, Ama Lou, Palm Springsteen and a DJ uset by Jax Jones. In addition to a VIP section, the event will be open to the public via confirming their RSVP here desertjam2019.splashthat.com. Deep Space will host an Ibiza-villa-style party with some of the biggest names in underground dance music. Erick Morillo returns for what is promised to be a bigger and better party than last year with supporting acts from Malio, Tryston Alexander and The Kimonos. Justin Bieber, Cameron Dallas, Paris Hilton and G Eazy have all attended in the past. Where: A massive 9-acre private estate in Bermuda Dunes which can accommodate 1,500 exclusive guests, complete with a one-acre salt water swimming pond and beach. What To Drink: In addition to the open bar, guests will find Redbull, Fever Tree Mixer and water from Perfect Hydration. Bootsy Bellows’ legendary Pool Party Presented by McDonald’s & PacSun returns for its 7th year! This luxurious pool party takes place at a five-acre estate featuring several ponds, pools, hot tubs and grottos surrounding the main home, which has over 9 bedrooms and baths. 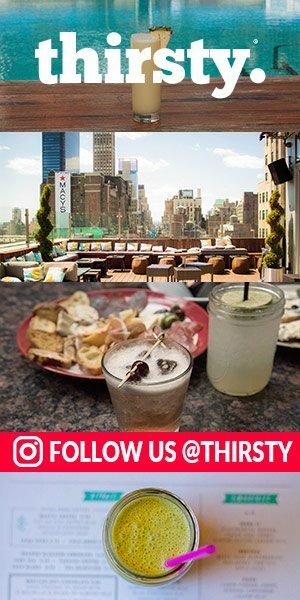 Guest can except hot musical performances from Rich The Kid and Roddy Riich, spins from the hottest DJs like Devin Lucien, Fred Matters and Siobhan Bell, interactive photo booths, pool side hangs, exclusive festival gear from PacSun and VIP cabanas. Of course, there will be tons of McDonald’s menu items including Chicken McNuggets, Hamburgers, Cheeseburgers and World Famous Fries to go around. Kylie Jenner, Michael B Jordan, Blake Griffin, Scott Eastwood and Hailey Baldwin have all attended before. When: Saturday from 2 p.m. to 6 p.m.
Get ready for the house party of the year, as STK Steakhouse, LiveMe, Apex Social Club, The Barbershop Club & Cocktails and SKAM Artists take over The Pond Estate. The weekend will include a late night festival party on Saturday and pool party on Sunday featuring STK signature bites, DJ sets, special performances & appearances, dunk tanks, giant seesaws, Dr. Refresh and much more. 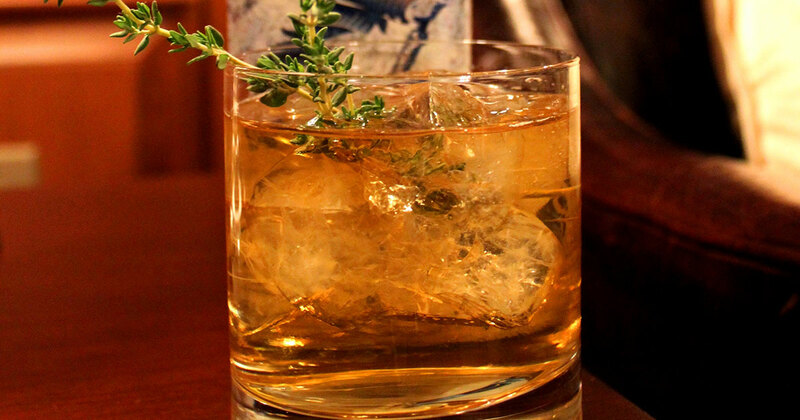 What To Drink: Get a taste of the good life with Ambros Banana Whiskey, Belvedere, Dulce Vida Tequila, Fiji, Three Weavers Brewing Company, Salt Vine, St. Germain, Veuve Clicquot and more refreshing libations. Neon Carnival is back to the desert’s most celebrated music festival. The highly-anticipated outdoors dance fête is widely recognized as one of the most coveted after parties of the year featuring carnival rides and games, open bar, a mini-club under the stars with DJs and live performers. This is bash‘s 10 year anniversary, meaning they’ve planned the biggest party yet, with Levi’s returning for its 5th year as presenting sponsor. Self-tanning brand Bondi Sands will provide a unique spin on classic carnival games, including bumper cars and water balloon races. The Ferris wheel will be decked out Pokémon style, to celebrate the May 10 release of the live-action “POKÉMON Detective Pikachu” starring Ryan Reynolds. What To Drink: In addition to a number of liquor sponsors, Los Angeles beer staple, Golden Road Brewery, will be providing a unique bar experience with their customized freight container serving up their most popular brands. Expect a ton of celebs, models the and fashionable crowd at Jeremy Scott’s annual Moschino Party. Last year Cardi B, Gigi Hadid, Katy Perry and Paris Jackson swung by and people are predicting Madonna may make an appearance this year as the designer just announced a collaboration with the Material Girl. The bash, which will go til sunrise so save your energy. What To Drink: CÎROC is back pouring the libations for the uber VIPs. The weekend concludes with Guy Gerber’s party and will have revelers finish dancing until Monday morning. Head over around 10 p.m. if you don’t care to see Ariana Grande on the main stage Sunday night. Additional DJ sets by Blond:ish, DJ Seinfeld and Kaz James. When: Sunday at 10 p.m.
What To Drink: Avion tequila cocktails will be flowing as well as Heineken beers. Equinox’s reimagined spa experience, EQX Body Lab and dedicated bungalow for networking and festival beauty looks from Milk Makeup Co-Founder Zanna Roberts Rassi. Just flash your AMEX Platinum card and you’re in with up to three of guests. 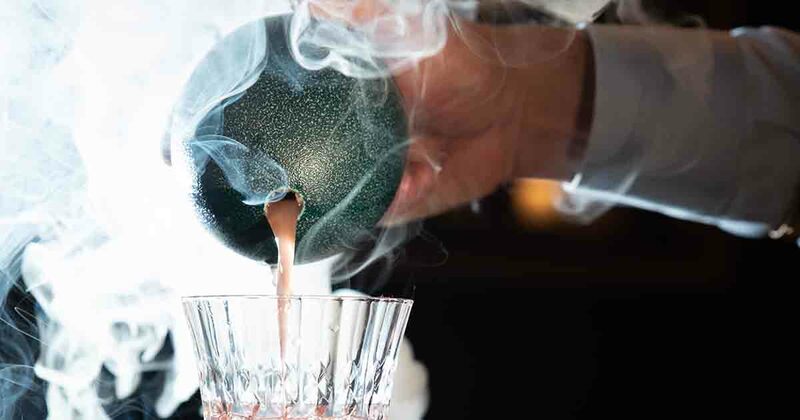 What To Drink: Sip a custom signature cocktail curated by one of the nation’s top mixologists – and mixologist for The Centurion Lounge network – Jim Meehan. Definitely grab a cold brew too.